As the Allied armies came ashore in Normandy on this day, June 6th 1944, Sgt Albert Wilkes of the Army Film & Photographic Unit was preparing to play his part. Albert Edward Wilkes was born in West Bromwich in 1903. His father was a professional footballer who, after injury, took up sports photography, running a successful studio in the town. Albert Edward went into junior partnership in the firm in 1924, at the age of 21. He followed closely in his father’s footsteps, specialising in football and cricket photographs and then during the war he served with AFPU No.5. 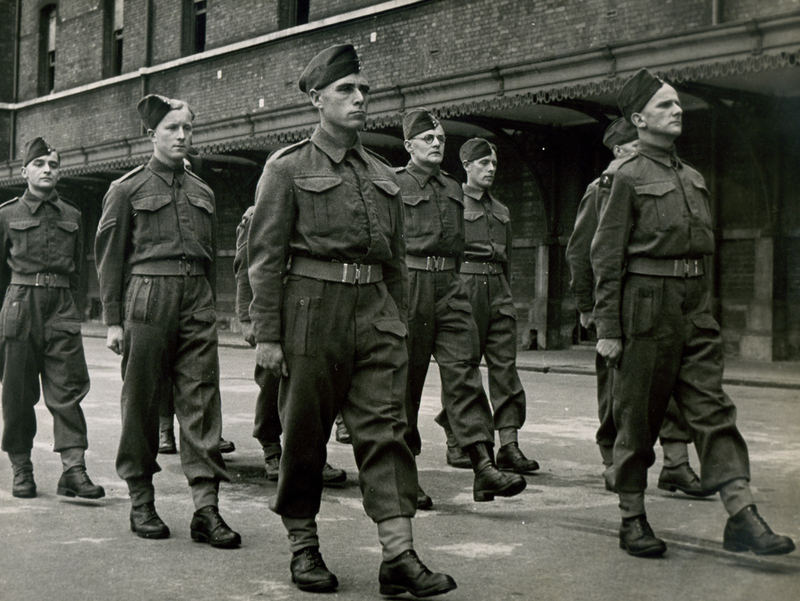 Sgt Albert Wilkes, (on the right), AFPU No5, passing out parade at Chelsea Barracks, early 1944. One of Albert’s first tasks was to follow Field Marshal Montgomery during the battle for Normandy. Albert retired in 1971 and passed away in 1993. 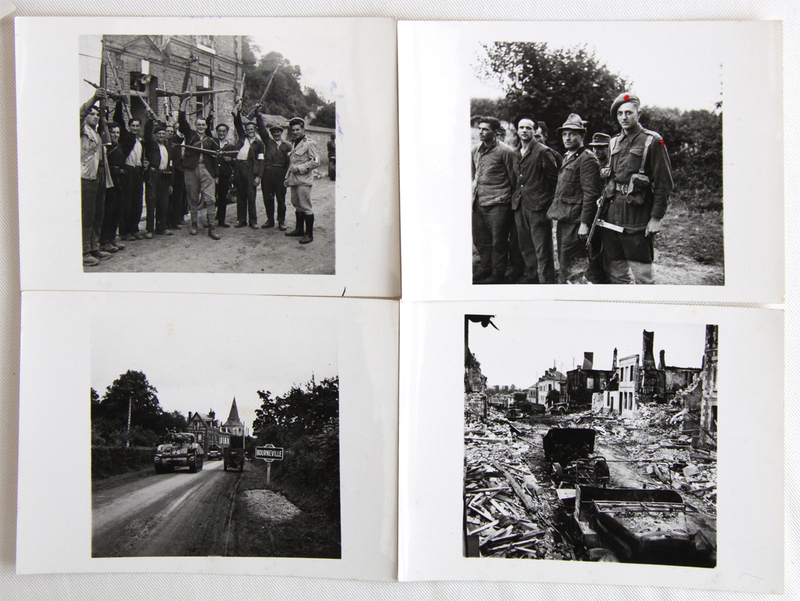 Some of his remarkable photographs and mementoes have been preserved by the family, as well as within the collections of the Imperial War Museum. You can find more about Albert here on this web site. Normandy, 1944. The original contact prints made by Sgt Albert Wilkes, Army Film & Photographic Unit No. 5. Normandy, 1944. 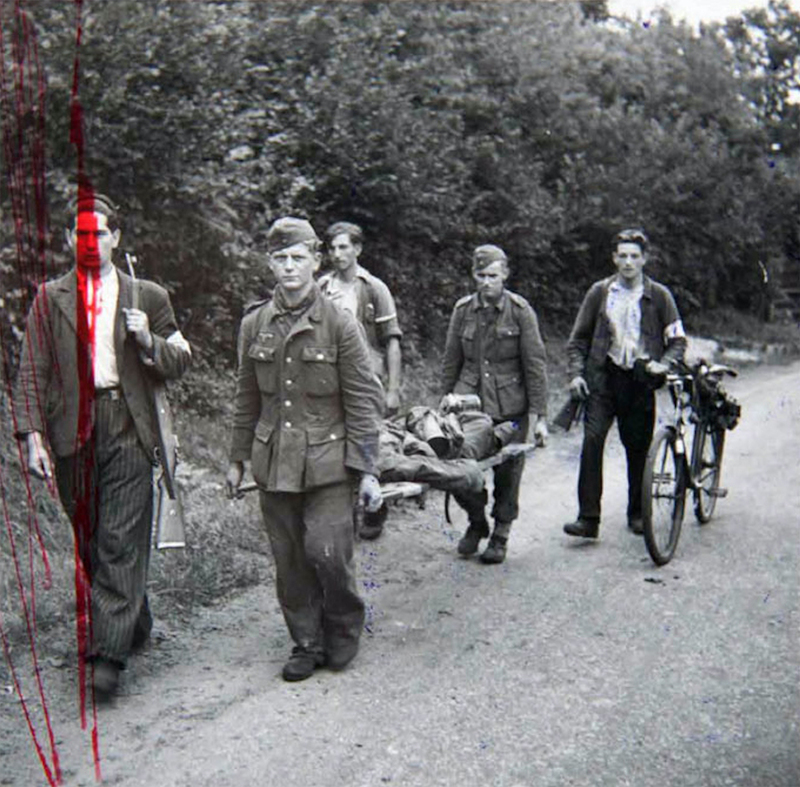 German prisoners escorted by French Resistance. Note the red pen of the censor at work. Photograph by Sgt Albert Wilkes, Army Film & Photographic Unit No. 5. 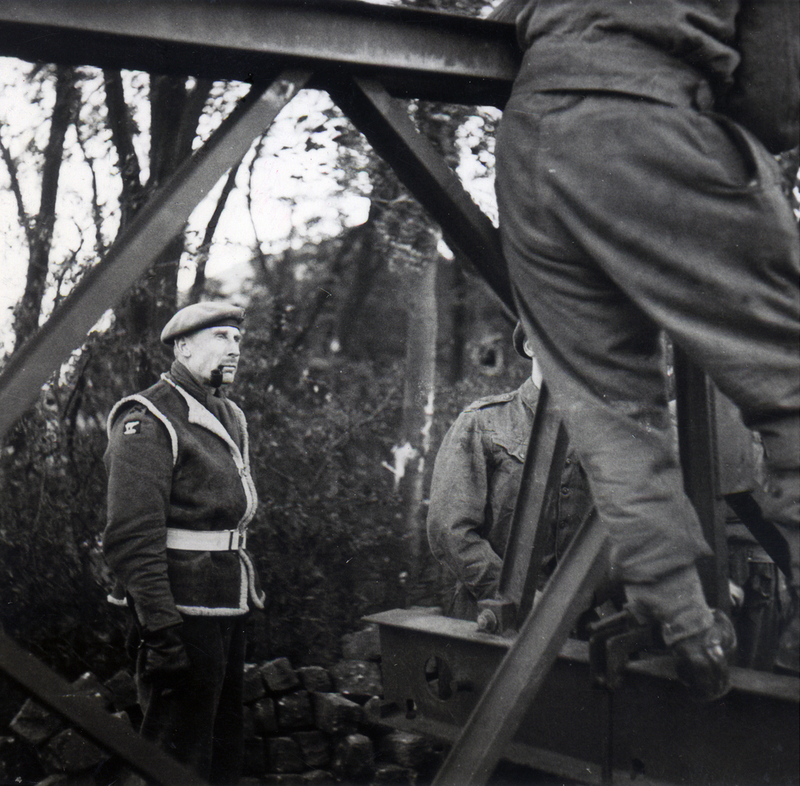 General Bernard Montgomery inspecting the construction of a bridge. (Many of the Bailey bridges were made in West Bromwich.) Photograph by Sgt Albert Wilkes, Army Film & Photographic Unit No. 5. Montgomery was later to visit the town hospital, who cared for D-Day wounded.